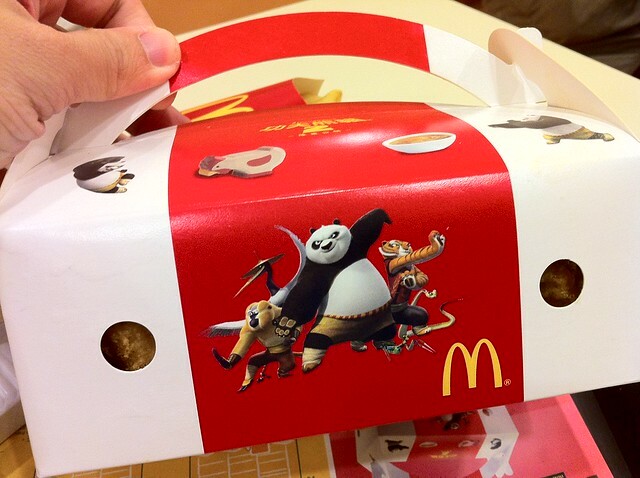 So I heard all about this gigantic value set dinner at McDonald’s, “specially designed” to go with the spectacular cartoon of Kungfu Panda 2. I was intrigued because, at eighteen pieces of nuggets, I couldn’t believe one could finish it single handedly mouthedly in one seating. The packaging is cute, but the food stuff was not spectacular. I thought the offering of the four new nugget dips would have been the reason for the whole value meal.